"Things are looking up for our boy!" 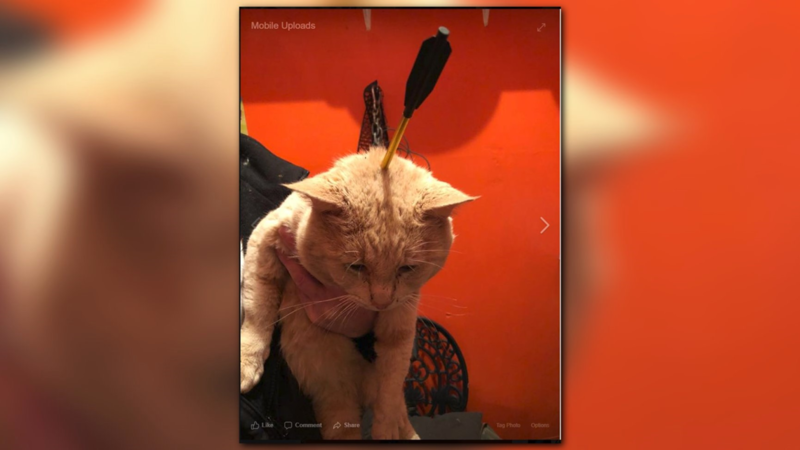 FLOYD COUNTY, Ga. — Authorities are trying to track down who is responsible for shooting a cat in the head with an arrow. Miraculously, the cat survived. 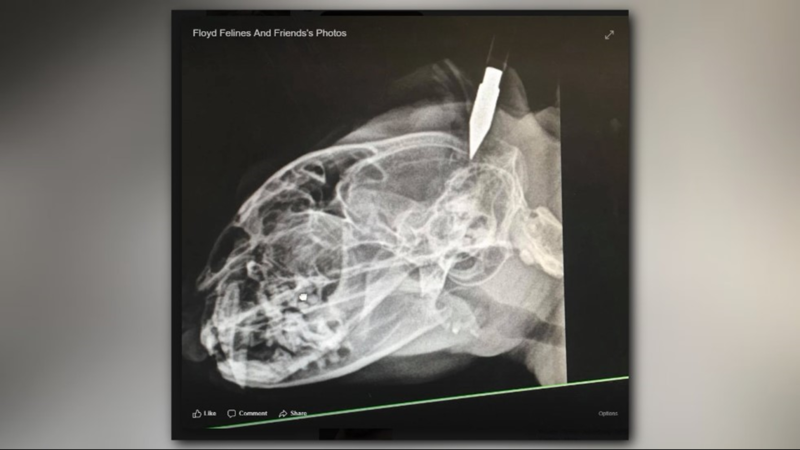 According to Floyd Felines and Friends, the cat was brought in Feb. 3 with the arrow still stuck in the its head. Veterinary specialists check the wound, and while they said it was serious, they didn't think the arrow actually pierced the cat's brain. 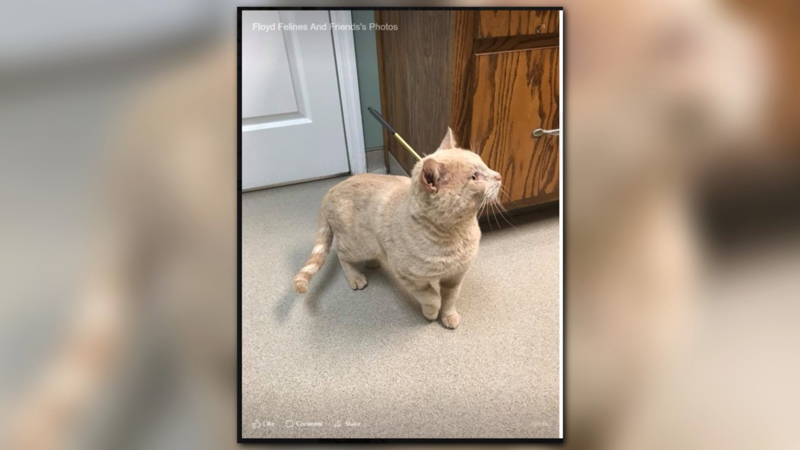 Doctors were able to remove the arrow from the cat's head later that night, but staff said it still left him with a cracked skull. 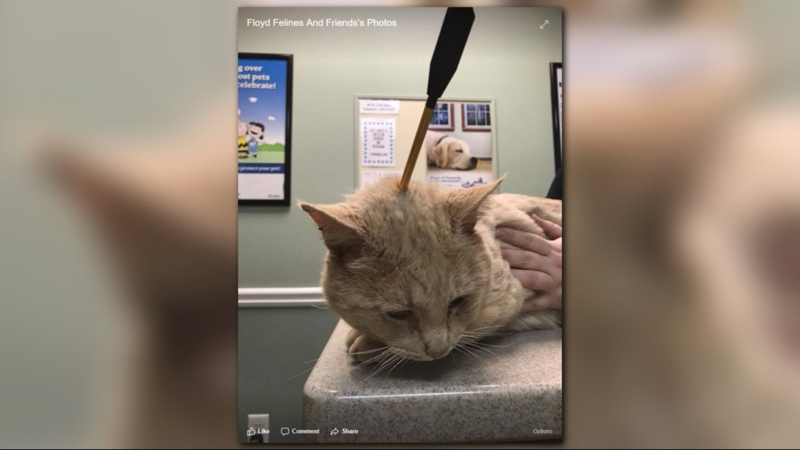 Floyd Felines and Friends shared photos of the cat's injuries. WARNING: Some readers may find these photos disturbing. "He is not out of the clear," the group wrote on their Facebook page. "There is a risk that he could bleed. We will need to keep a close eye on him for the next few days and make sure he’s getting better and not worse." 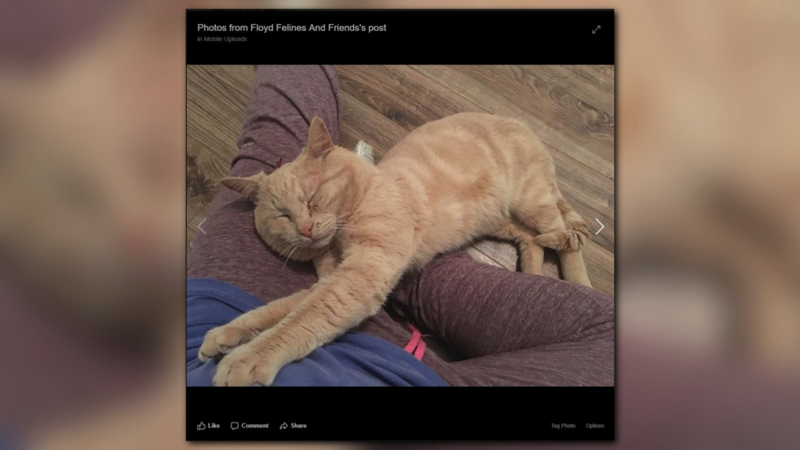 Since Saturday, though, Floyd Felines and Friends has posted updates on the cat, dubbed Floyd Mayweather, showing that his condition is improving. "He’s our fighter," the group wrote Sunday morning. "We kept an eye on him around the clock through the night and as he got more comfortable with his surroundings and his sedative weaned out of his system, his true colors started to show- and this boy is PRECIOUS." Later that night, the group moved Floyd to a foster home where he will continue his recovery. Floyd Felines and Friends said he's continuing to make progress. "He is eating wonderfully, and he scaled his cat tree within five minutes of entering his room," they wrote. "He thinks he’s going to like it here." By Monday night, the group said there are "no signs of complications... Things are looking up for our boy!" 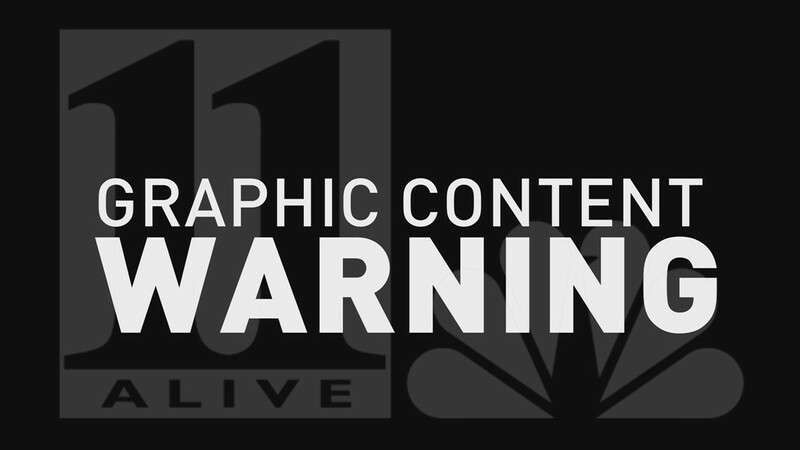 11Alive reached out to Floyd County authorities for more information on a possible suspect, but hasn't heard back. Meanwhile, Floyd Felines and Friends are taking donations to help with Floyd's continued care. Anyone who wishes to contribute is asked to call Culbreth Carr Watson Animal Clinic directly or donate online.